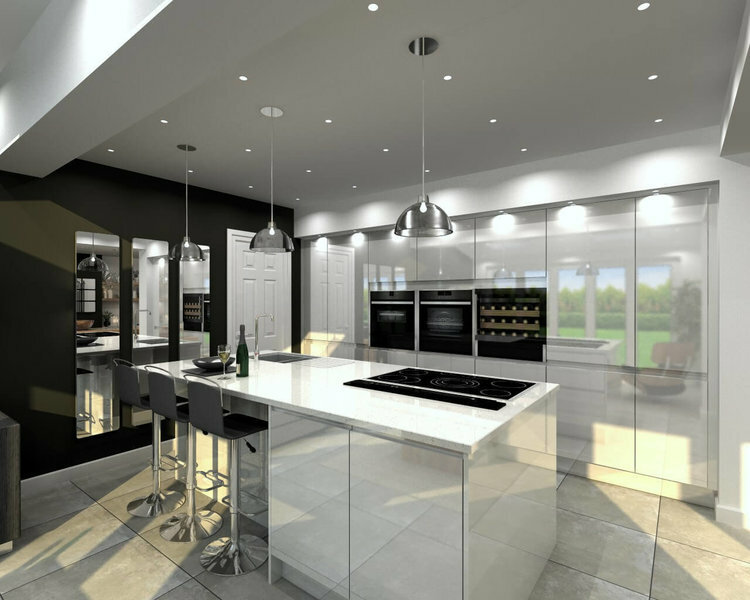 UK Kitchens is a well established family run business that offers a full kitchen design service with high quality kitchens at very competitive prices. Come and visit our showroom and have a freshly made coffee and see all of the traditional, modern and contemporary kitchens we have to offer. 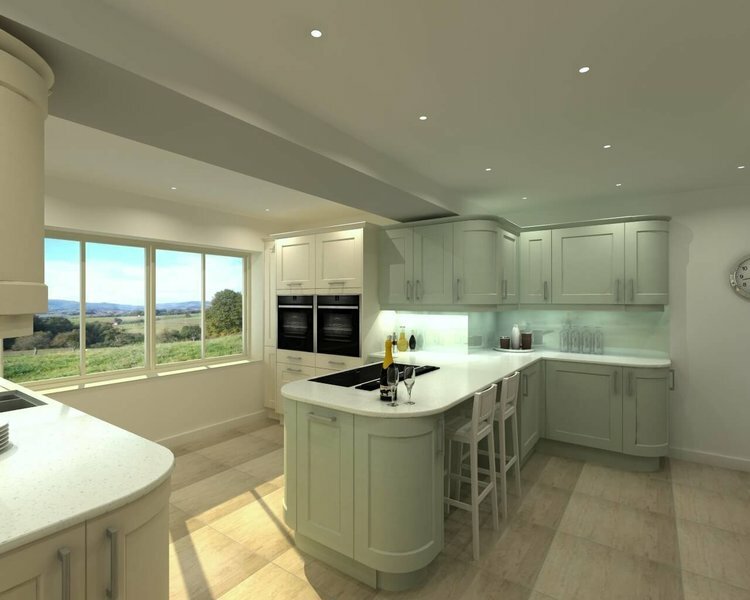 One of our senior kitchen designers would then book an appointment with you to come to your property and take measurements and go through any other individual requirements that you may have. 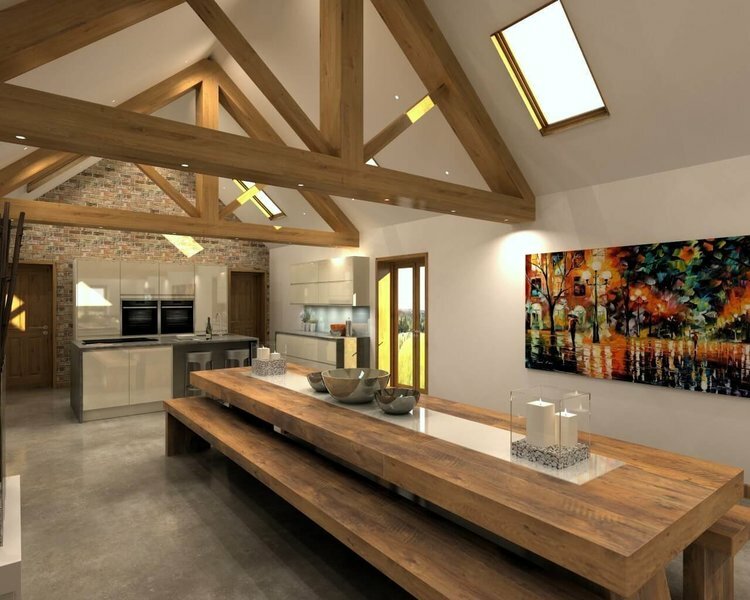 Equally, we can work from drawings if building works haven’t yet been carried out. 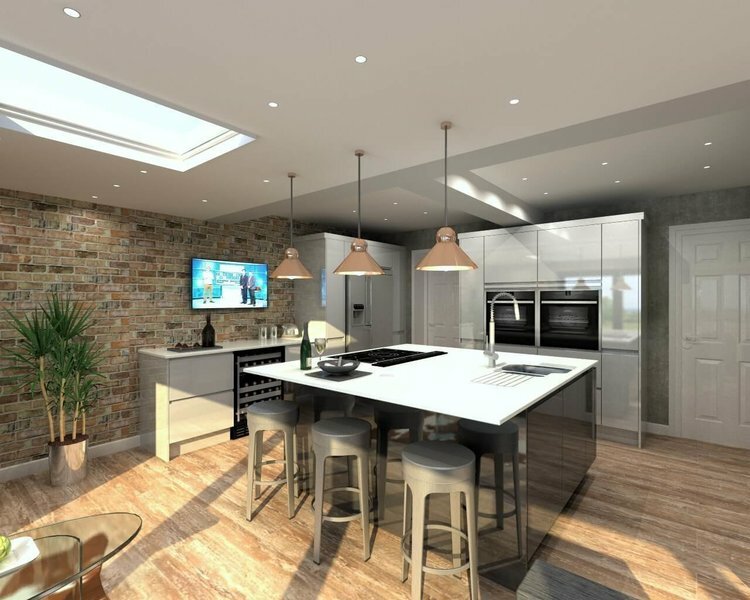 Once this is done, an appointment would be made back at UK Kitchens to go through the different options the designer will have put together for you. 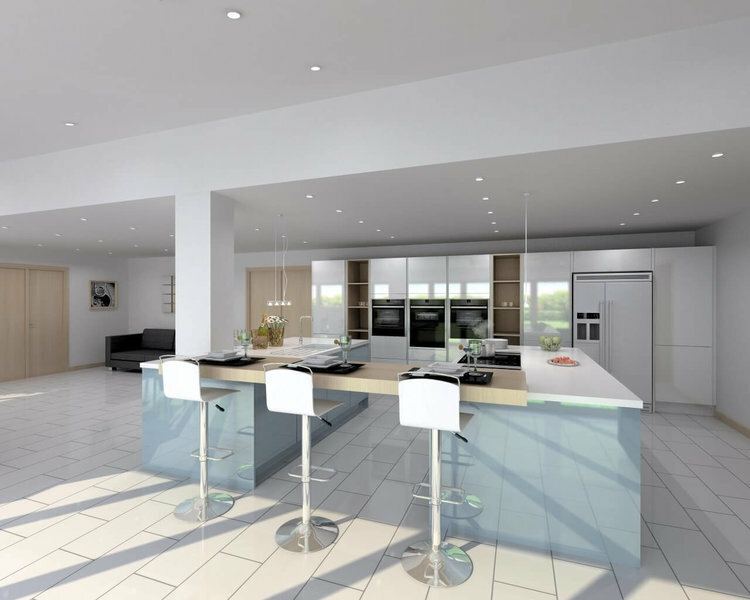 All this is done using the latest CAD design system and presented on a large screen which will bring your new kitchen to life. UK Kitchens are fully committed to providing the very best service, along with honest and fair prices which is why over 90% of our sales come from recommendations. We had our kitchen re-designed and fitted (including minor building work) in May 2018. Our designer Lee was really helpful and Jo and the team were very professional. We love our new kitchen and are always getting complements on the quality and finish. A few small issues were dealt with by UK and we are very happy with the end result. We are loving our new fabulous kitchen thanks to Aaron who designed it and Mark who did an amazing job of fitting it. They are very friendly and professional,also you can contact them at any time if you have any questions about your kitchen as I did I couldn’t be happier with the results. 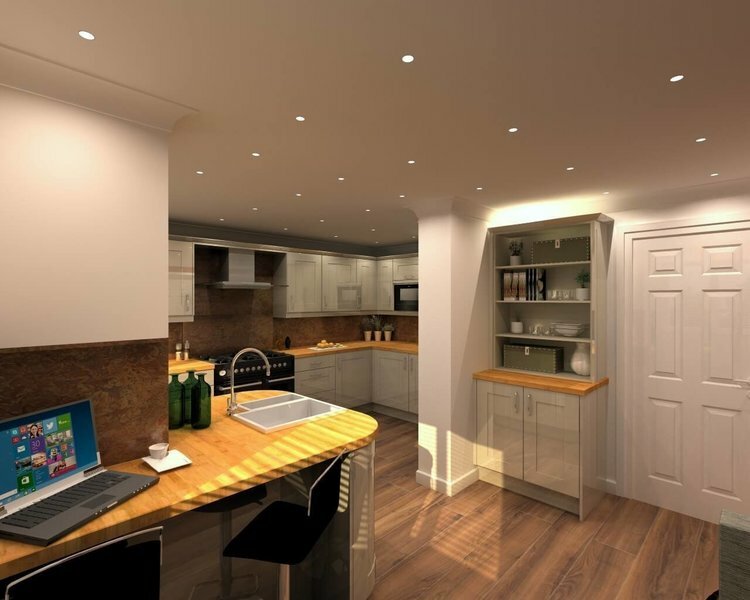 UK Kitchens provided excellent service from start to finish. My wife and I were immediately impressed by the service in the showroom with staff being knowledgeable eager to help but refreshingly unpushy. The designer was able to accommodate our changes of mind and once the decision on the design was made the process of fitting could not have gone more smoothly. All of the tradesmen worked to the highest level and nothing was bodged. The finished kitchen is everything we could have wished for. We had separate kitchen and dining room which we wanted knocked into one. After Lee @ UK Kitchens came and measured up we went to the showrooms to view the designs. It looked amazing and all the work was carried out by fully qualified workmen. The finish was just superb and are absolutely delighted with our new kitchen/diner. We spent many weekends trawling kitchen showrooms, when a friend told us about UK Kitchens. On arrival staff were friendly and approachable. We loved the kitchen styles they had and sat down with Lee to discuss options. Lee was brilliant. He came out to the house and measured the kitchen, making good suggestions about lighting, space saving etc. 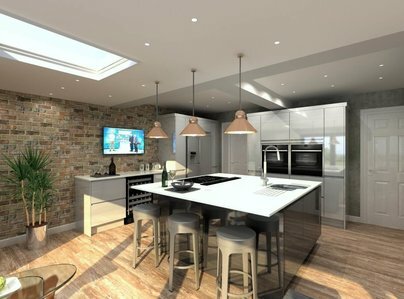 The next day we received an email with a very detailed 3D colour plan of our kitchen and a surprisingly reasonable quote. They were accommodating on when they could deliver the kitchen, and the delivery staff were courteous. We fitted the kitchen ourselves, but am sure they would have done a great job. I have recommended UK kitchens to friends and family. 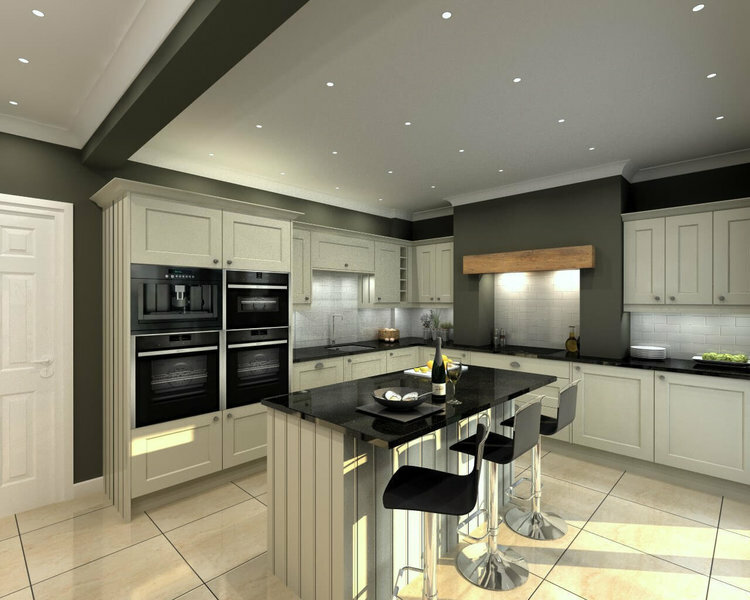 We highly recommend UK Kitchens and the work they carried out. The experience from start to finish was exceptional. Lee, from the design team, was patient, thorough, creative and honest. At no point did he try to up sell. He listened to our ideas, and made suggestions where things would not work and we couldn’t be happier with the finished product. Lee helped with all aspects of the work, including suggestions for the flooring and fitting. Mark Beale, the kitchen fitter, was fantastic and coordinated all of the work efficiently, professionally, with attention to detail and on time; he was worth the wait. Could not have wished for more. Tracey and I would just like to say a huge thank you to Arran and everyone at UK kitchens. 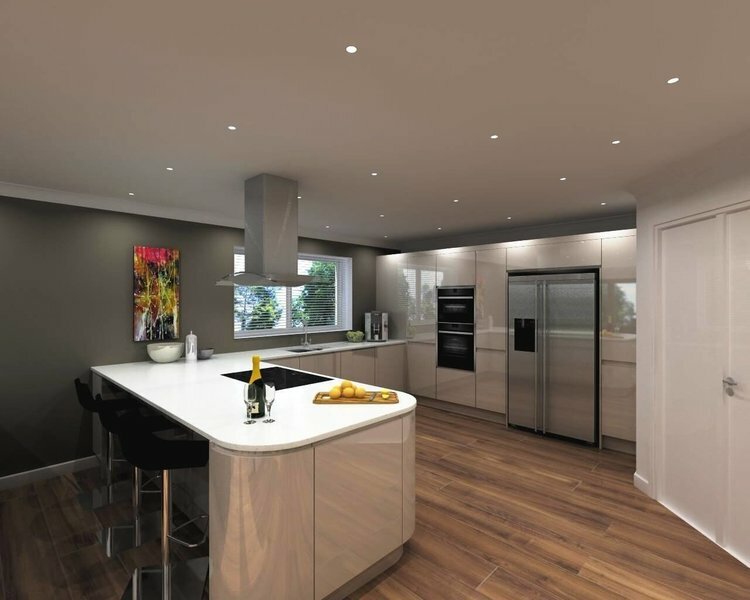 Our new build property has had the same impact on everyone that has seen the kitchen, without exception “Wow”. From the first time we walked into the showroom we felt confident and at ease. The process from start to finish has been easy and, dare I say it, possibly the least stressful, and most enjoyable part of building our new home thus far. Glenn and Alex fitted our kitchen professionally and paid attention to every last detail making our dream kitchen come true before our eyes. Thank you all once again and we would not hesitate to recommend you in the future. From the first contact to the finished job, I cannot recommend UK Kitchens highly enough. They were professional, knowledgeable and the fitters were quick, considerate and did a high quality job. I love my new kitchen! I love my kitchen from UK Kitchens, we had nothing but good advice, ideas, photos onscreen to show us how it would look, and it looks super. So thank you UK Kitchens, you have made us very happy. The staff and fitters are second to non.